OpenStreetMap – Project Haiti | Jill Saligoe-Simmel, Ph.D.
August 26, 2010 /1 Comment/in Geospatial /by Jill Saligoe-Simmel, Ph.D.
We all followed the crisis that unfolded following the 2010 Haiti earthquake, many of us chose to donate money, a few were flown out and deployed as part of the relief effort. But what practical impact can many have without being there in Haiti itself? Well, during this crisis a remarkable story unfolded; of how people around the world could virtually collaborate and contribute to the on-the-ground operations. With the heavily damaged or destroyed infrastructure, the situation was especially challenging for aid agencies arriving on the ground. Where are the areas most in need of assistance, how do we get there, where are people trapped under buildings, which roads are blocked? This information is essential to rescue and recovery efforts – and this “where” information is embodied in good map data. In many areas around the world, there is a lack of good mapping data and particularly after a crisis, when up-to-date information is critical to managing events as they evolve. 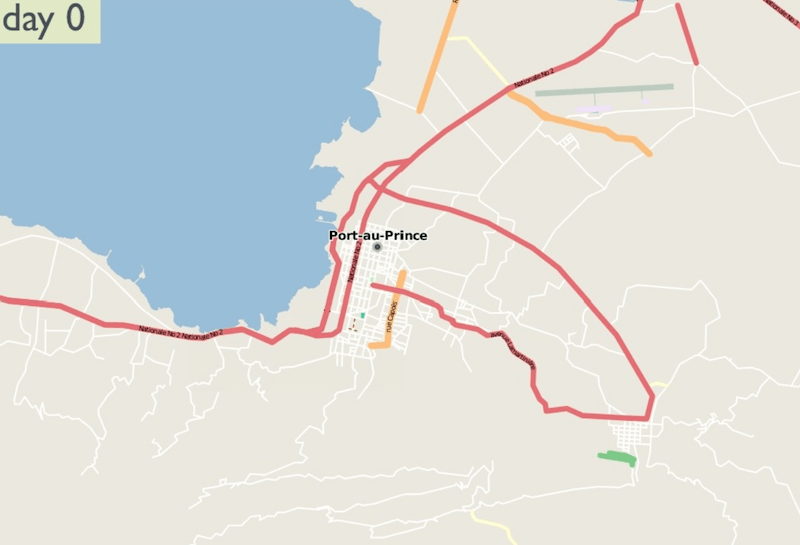 Enter OpenStreetMap, the wiki map of the world, CrisisMappers and an impromptu community of volunteers who collaborated to produce the most authoritative map of Haiti in existence. Within hours of the event people were adding detail to the map, but on January 14th high resolution sattelite imagery of Haiti was made freely available and the Crisis Mapping community were able to trace roads, damaged buildings, and enter camps of displaced people into OpenStreetMap. Their presentation (~14min) describes OpenStreetMap, the workflow and data used to develop the crisis maps, how the maps were used, and includes an animation illustrates the rapid improvement of Haïti coverage in Openstreetmap following the January 2010 earthquake. Important questions are raised regarding sustainability of such efforts and a call for an Ethical Code of Conduct for OSM.